One of the things with the modern hobby is that it has a variety of collectors, each with their own niche. Some chase the pricey high-end stuff. 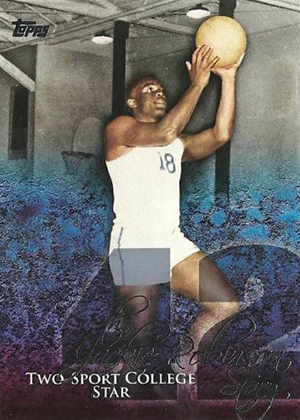 Unless you're the premium version of 2014-15 Prestige Basketball, hobby is the only option. Other sets cater to set builders and those who like a more traditional experience. These types of sets are widely available at both hobby shops and retail stores, usually with their own configurations. If you're going to chase or sample everything that 2015 Topps Series 1 Baseball has to offer, you're going to need to try packs from several places including some that are exclusive to retail packs. Below is a look at the 2015 Topps Series 1 Baseball retail exclusives and where you can expect to find them. 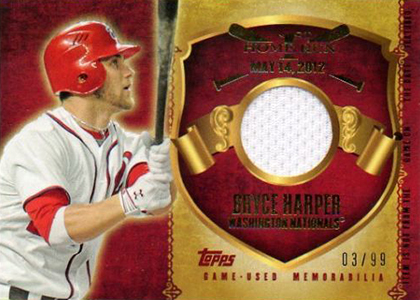 In recent years, the main Topps baseball sets have had multiple color-based parallels exclusive to specific stores. 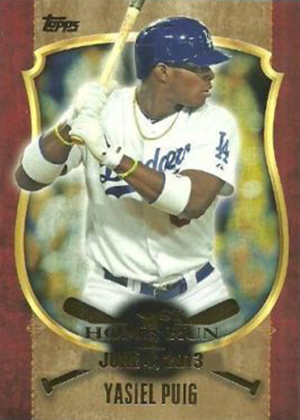 2015 Topps Series 1 Baseball has just one. Purple is the only retail base parallel. It covers the entire 350-card set. These cards are found only in packs sold at Toys "R" Us. The Walmart Blues and Target Reds have been replaced with special insert sets. Walmart is the only place you're going to find the 2015 Topps Babe Ruth Story cards. 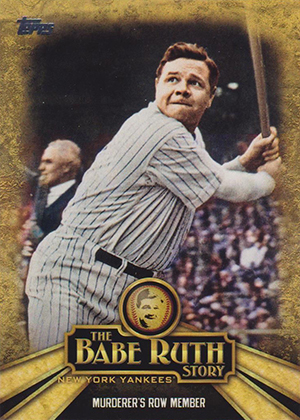 The ten-card set breaks down Ruth's career. If the name sounds familiar, it's because it is. 1962 Topps Baseball has a subset with the same name, which was later revisited in 2011 Topps Heritage. This time around, the design is definitely more modern, mixing in an Art Deco feel. Similar to how Walmart packs look at Babe Ruth, 2015 Topps Series 1 packs from Target explore the career of another legend with the ten-card Jackie Robinson Story set. Not only is Robinson's career tackled, but his impact on the game as well. The first MLB home run is a major milestone in any player's career. This 40-card set features a mix of current superstars, young players who just hit their first big flies in 2014 and some retired stars as well. 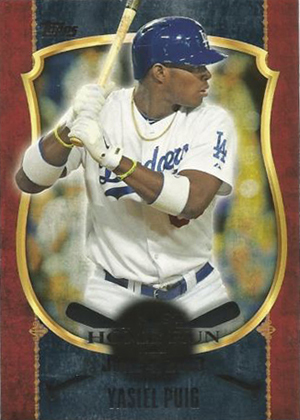 One of the inserting aspects of the 2015 Topps First Home Run set is that a handful of players are pictured in uniforms they're not normally associated with. In a quest for getting the small things, images from the actual at bat were used or something as close to the date as possible. 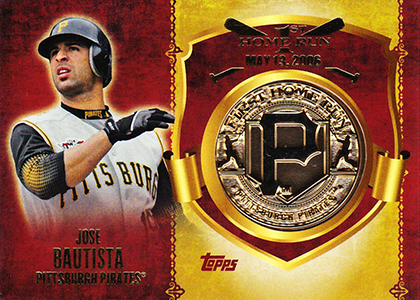 Each First Home Run insert has three versions. The regular one has a dark stripe down the middle. Gold-stripe cards come from hanger boxes while Silver versions are in value packs. 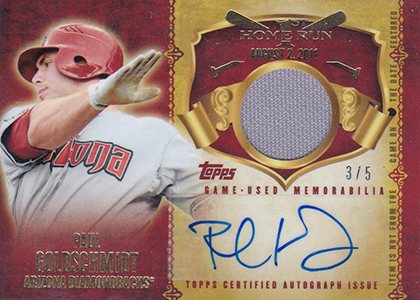 First Home Run also has some tough Relic and Autographed Relics for select players as well. Relics are numbered to 99 while the Autographed Relics have just five copies each. 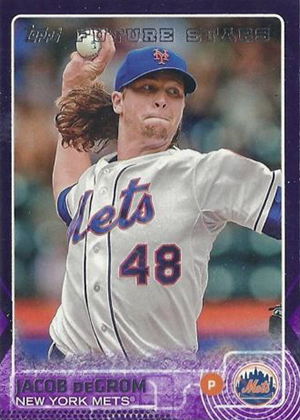 After many years of Topps baseball blaster boxes promising a manufactured patch card, 2015 Topps Series 1 changes things up a little. There's still a manu-relic, but it's not a patch. Instead it's a bright medallion with a team logo. The set has the same 40 players as the basic First Home Run set. 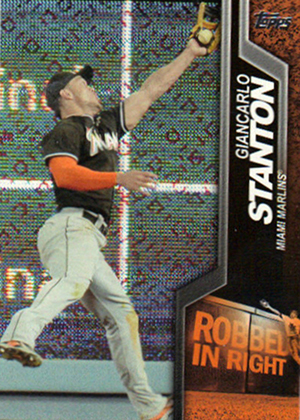 While home runs and offensive get more insert love, the retail-exclusive 2015 Topps Robbed cards take the opposite approach. This 15-card set features action photography of big outfield plays that snatched extra bases. Besides the common regular cards, there are Autograph, Relic and Autographed Relic versions for select players. 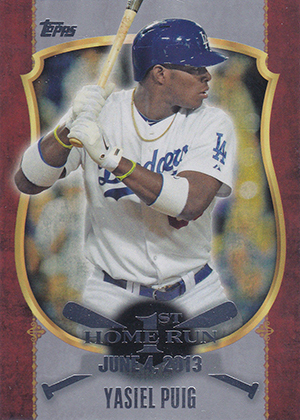 For full checklists of all the 2015 Topps Series 1 Baseball retail-exclusives, check out our comprehensive set profile. 2015 Topps Chrome Rookie Purple Refractors Gary Brown Auto 240 250 +base Auto! 2015 Topps Chrome Rookie Purple Refractors Gary Brown Auto 241 250 +base Auto! 2015 Topps Chrome Matt Clark Auto PURPLE REFRACTOR 187 250 BREWERS +base Auto!